Visit our online store! Click Here! Huron Quality Manufacturing, Inc. also specializes in High Quality replacement Stump Grinder teeth, pockets and bolts, for various brands of grinders. These are products that we market under the “Discount Stump Cutters” name, using only high-grade American Made materials for excellent cutting performance and durability. 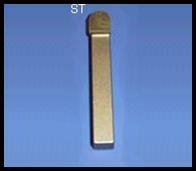 We sell the standard 1/2” square shank teeth, with a brazed-on carbide tip, in a straight, left and right-hand version. We only sell these as a new item and DO NOT re-tip these teeth. We sell the standard reversible round holder pockets for the 1/2” square teeth in both the threaded and counter bored versions. 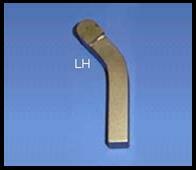 We also have a hybrid pocket we call a “Quality Pocket”, in both the threaded and counter bored versions as well, which has extended support under the tooth for more rigidity and longer tooth life. We even offer the 5/8-18” Allen Head Bolts for your holder pockets; in sizes from 1-1/2” long, all the way up to 2-3/4” long, in 1/8” increments. 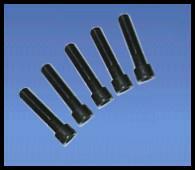 One of our biggest sellers is the 3/4” square shank Threaded Teeth. 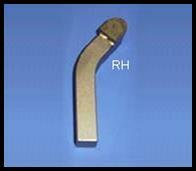 It has a brazed-on carbide tip and has a 5/8-18” threaded shank. 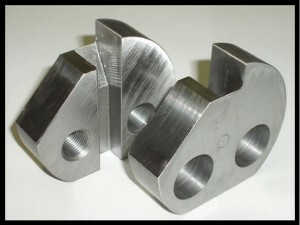 We currently sell them in 2-1/2”, 2-5/8” & 2-7/8” lengths (overall length). 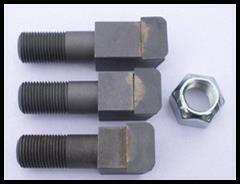 We even sell the 5/8-18” Top Lock Nut for your threaded teeth. Huron Quality Manufacturing, Inc. also specializes in Re-Tipping the used Stump Grinder Teeth!